The Eau Claire play structure is guaranteed to bring amusement to children. 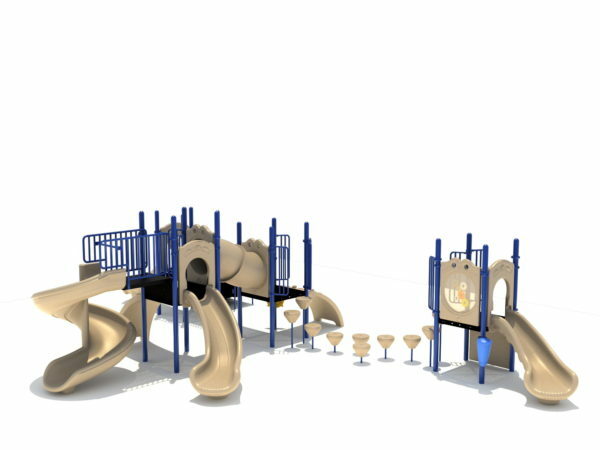 A 36” elevated platform with a vertical PE rock climber, gear panel, single drum, and a right turn slide connects to the rest of the structure by pebble steps. 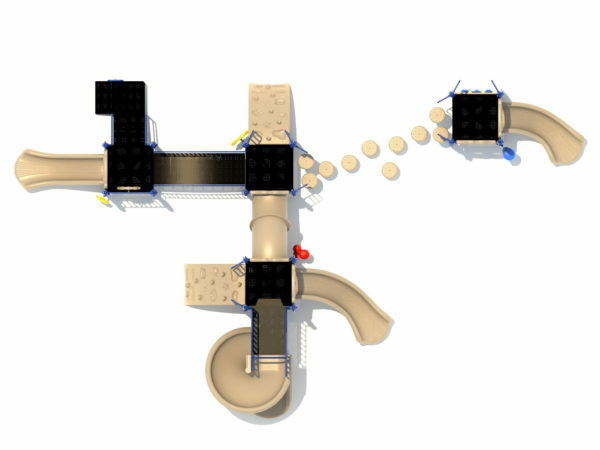 The pebble steps lead to an elevated platform with a sea creature climber attached to it, from this platform an arch bridge connects to an elevated platform of the same height and an incline tube bridge connects to a higher elevated platform with a sea creature climber, right turn slide, and spiral slide attached to it. The other lower platform has a straight slide and metal barrier with ship’s wheel attached to it; a set of stairs also leads up to this platform. The Eau Claire play structure is ADA compliant with features like a rain wheel, bongos, a ship’s wheel, etc. This structure is designed for children 2-12 years of age. The Eau Claire is popular for children of all ages. Keep it like it is or change colors and modify activities. It is a special order so customize it the way you want it. It can take 7-10 weeks for delivery. 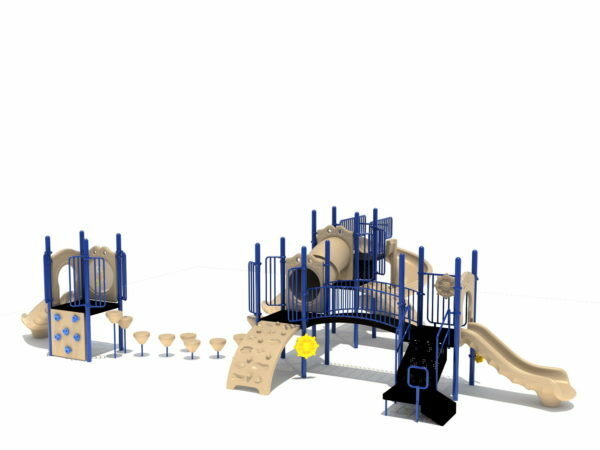 Play Set Dimensions – 21'11" x 36'6"
Safety Zone – 33'11" x 48'6"
Critical Fall Height – 72"